Gina M. Sabatino joins the Miami, Florida office. 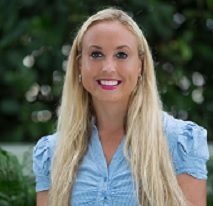 Chartwell Law welcomed Gina M. Sabatino as an associate in its Miami, Florida office. This is the twelfth attorney added to the firm’s South Florida offices, in the past year, demonstrating Chartwell’s continued growth in Florida. Sabatino will represent carriers and corporations, as well as small and large business entities, in matters pertaining to insurance defense, commercial litigation and general liability defense. Prior to joining the firm, Sabatino was an associate with an insurance defense firm in Coral Gables, Florida.